$55.99 GET Enterprises ML-243-BK Siciliano Black Round Display Platter 24"
Add a simple yet contemporary touch to your table setting with the GET Enterprises ML-240-BK Black Siciliano Display Platter 18". 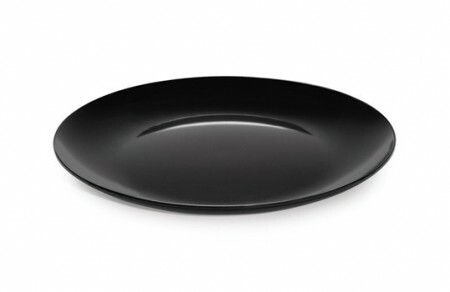 A great addition to any dinnerware collection, this platter features a sleek black finish and smooth surface that easily complements any decor. This attractive and durable platter is made from BPA-free melamine that captures the look of delicate ceramic without being vulnerable to heat and breakage. Thanks to its dishwasher safe design, this NSF approved display platter is perfect for use on amy buffet table.